Unique designs inspired by the thought of healing and the comfort of mind, body and soul are being seen in abundance this season. 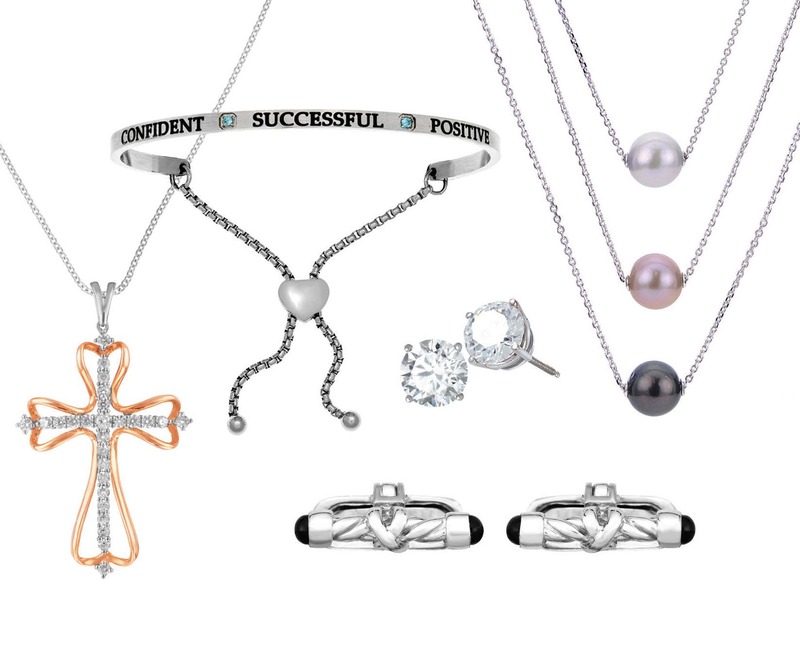 Jewelry created with the intent to enhance spirituality, comfort loss, ward off disease and offer inspiration, hold both meaning and significance, while encouraging the mindset of a positive future. Awareness Ribbons. The meanings of these colorful ribbons folded into a loop depend on the color. Each is a show of support or to raise awareness for a cause. The use of a ribbon was first seen in the early 1970s, when the song “Tie a Yellow Ribbon Round the Ole Oak Tree” was released. The Tree of Life. For centuries, the tree has been a symbol of family and immortality. As the tree grows old, it bears seeds that contain its very essence, allowing it to become immortal. It is a symbol of strength, a fresh start, positive energy, good health and a bright future. The Evil Eye. Tied to a popular legend dating back 3,000 years, it is considered one of the strongest symbolic images known around the world. Once thought of as a look given to inflict harm and bad luck, today wearing the evil eye is the only way to protect against the power of the evil eye by “reflecting” the evil look. The Hamsa (Hand). A protective sign thought to bring its owners happiness, luck, health, and good fortune, the hand can be worn with the fingers pointing up or down. Most importantly, it is believed to offer its owner protection from the evil eye. This holiday season, treat yourself or give a gift of meaning and inspiration to someone special. Sotheby’s Geneva recently held and auction of the royal jewelry collection partially owned by Marie Antoinette. For the first time in 200 years, this extraordinary jewelry collection was revealed to the public. The diamond and pearl pendant that once belonged to Antoinette sold for $36.2 million, setting a world auction record for a natural pearl. Before her execution, the Queen wrapped her jewels in a box and sent them to Vienna for safe harbor. In 1796 her daughter was presented with the family jewels. Turquoise and Zircon are both prized since Biblical times for their beauty and promise of prosperity. Tanzanite, a glittering purple-blue gem, in one of the newest birthstones and has quickly become one of the world’s most popular gems. 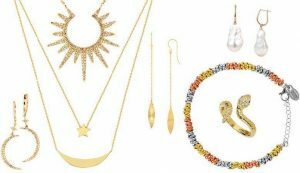 With long, hazy, hot and humid summer days dwindling and the arrival of shorter days, cool breezes and thoughts of light sweaters, it is time to harvest your autumn jewelry wardrobe. This season, we will see last winter’s mix n’ match earring trend expanding into summer and autumn with a new vibe of geometric inspired balance and extra length styles cascading to sun kissed shoulders. The lightweight, pastel colored pearls favored in spring are ramped up and surpassed by large, natural Tahitian and Baroque pearl beads, headlining ornate earrings, chunky necklaces and bold cocktail rings. Necklace trends have been inspired by the body jewelry lining shores and sandy beaches up and down the east and west coast. Architectural, ultra-thin strands layered in a high-low sequence will provide a stunning streamlined jewelry effect. Popular transitional trends focus on nature themes, highlighting the animal kingdom, sun, moon and stars. A conglomeration of gentle butterflies will be seen fluttering amongst bold fashion forward designs, while astronomical bodies will rotate around necklines and wrists, and wild beasts will stray from nightlife to workplace. Visit us for suggestions to help with your seasonal jewelry transformations. Once upon a time, pirates were convinced that wearing earrings would improve or even cure bad eyesight. It was also thought that sailors wore earrings to save them from drowning, while others believed should a sailor drown and be washed ashore on another land, his gold earrings would be used by the discoverer as payment for his proper burial. Peridot and Sardonyx. Courage and happiness are the attributes thought to be bestowed upon those of August birth by these gemstones. Beautiful, transparent, olive-green peridot has been a popular gem of women for over 3,000 years, while the opaque, reddish-brown sardonyx has long been a favorite for men’s signet rings. 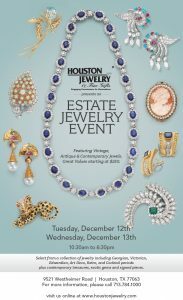 New creations of timeless pieces of period jewelry such as heirloom-inspired Victorian, Edwardian, Art Deco, Art Nouveau, and Retro designs are among the hottest items being shown today. They offer a perfect blend of traditional styling and contemporary wearability. Today’s best sellers are colorful and ornate designs fit for any occasion. Trends come and go, yet vintage inspired jewelry designs are here to stay and continue to make a statement. Nostalgia of the past has long been a perfect start to creating a meaningful present. In the age of digital overload, shoppers of all ages are seeking refuge from contemporary, everyday fads and are turning to designs reminiscent of a similar time. The unexpected details of colorful and playful vintage inspired jewelry contribute to a personalized style, complementing any wardrobe. Ruby. Ruby has been the world’s most valued colored gemstone for thousands of years. A precious form of the mineral corundum, its name is from the Latin word “ruber” meaning “red color.” Legend and myth state rubies have a history of bestowing good health, a fine life, wealth, and wisdom. These beautifully clear, transparent gemstones capture the essence of spring in rich, glowing, fresh fruit colors that brighten your world all year long. In smooth, oval cabochon cuts they glow with color like baskets filled with jelly beans. Grape. This luscious, purple, grape juice color is presented perfectly in the delightful purple garnet, offering a spectacular brilliance and durability. Other deep purple gems include amethyst, spinel, tanzanite, and purple sapphire. Lemon. Clear and appetizing, lemon-colored citrine is a popular and affordable, transparent quartz. 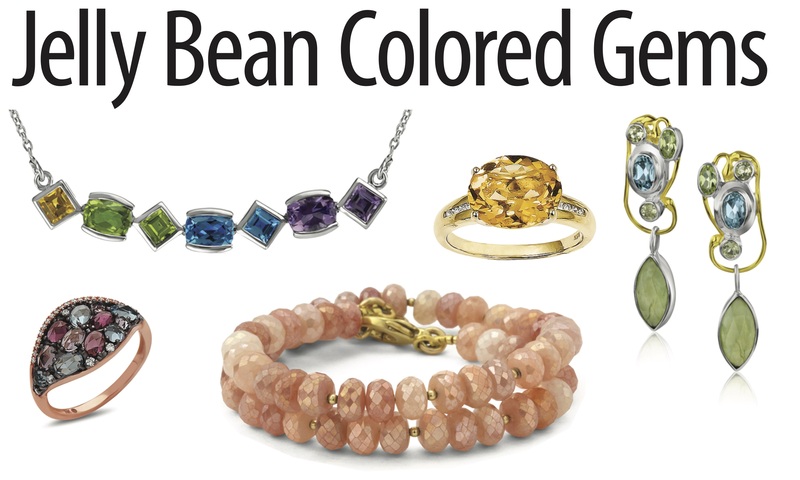 Sunny yellow gems include sapphire, topaz, beryl, and amber – a gem that has been prized since ancient times. Lime. The most popular lime-colored gem is the lovely, yellow-green peridot. Not only sparkling and transparent, peridot glows with an inner radiance. Other lime-green gems include green tourmaline and green quartz. Blueberry. While the first thought of a blue gemstone might be the stunning sapphire, there are many gemstones available in a variety of luscious blue hues. Most common is aquamarine, blue agate, blue topaz, blue zircon, chalcedony, diamond, lapis, spinel and turquoise. Peach. Transparent, peach colored gems have a delicate pink-orange tint that is wonderfully appealing when light shines through. 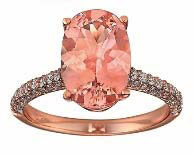 Morganite, imperial topaz, tourmaline, and moonstone all offer this tender color. 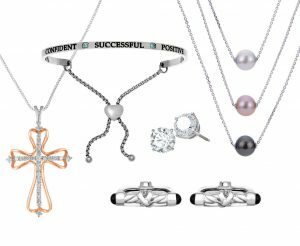 Many top entertainers at the 2018 Grammys wore undeniably big, bold and black diamond jewelry. Black diamonds have gone from best supporting to starring roles. Lady Gaga wore massive, dangling earrings featuring over 300 carats of black diamonds and Heidi Klum was flaunting several black diamond band rings, well over 49 carats. Black diamonds are not just for the rich and famous. Today, the black diamond’s unique and dramatic beauty is vying for center stage in engagement rings, stud earrings and many fashion forward jewelry designs. Diamond. Diamonds are synonymous with love, purpose, dedication, and devotion. Since ancient times, diamonds have symbolized invincibility for those born in April because of their hardness and durability. Celtic Inspired Classic Irish jewelry designs such as the Claddagh, the shamrock, and the Celtic Knot, are growing more and more popular every year with people of all backgrounds. Claddagh Jewelry was named for the ancient village of Claddagh, just outside Galway City. In the early 16th century, a young goldsmith named Richard Joyce designed and made the first Claddagh ring, combining a heart for love, a crown for loyalty, and two hands for friendship. Now known throughout the world as a symbol of love, Claddagh jewelry is available in 14K gold rings, pendants, earrings, charms, pins, and bangle bracelets. Celtic Knot wedding bands come in many beautiful styles and feature an openwork eternity figure with no beginning and no end, which makes it an ideal concept for wedding rings. Today’s Celtic Knots are popular in earrings and pendants as well. The notion that earrings should come in a matching set is old school. Mismatched earrings are sparking a trend. The look stems from the broader fashion world of mismatched prints and colors. You can create this asymmetrical look by using different sizes, shapes, non-matching colored gemstones or create your own pairing by mixing up single earrings. Aquamarine in Latin means water of the sea. It was once referred to as “the sailor’s stone” and thought to provide safe voyages if tossed in the ocean as a gift to Poseidon. Bloodstone is usually dark green in color with red spots due to the iron oxide deposition. The stone is thought to have intense healing powers, primarily for blood disorders, but it was also used for making seals and amulets. Express yourself! Falling in the middle of a chilly month, February 14th is a day dedicated to warming hearts around the country. Also known as Valentine’s Day, this is the day each year family, friends, sweethearts, lovers, co-workers, neighbors and casual acquaintances will utter warm-hearted sentiments, acknowledge tender feelings, convey devotion and outwardly bring a smile to someone’s face. Like millions of people, you can send a special email, thoughtful card, share a meal or indulge in a box of chocolates, but for those desiring a more personal gift, consider a dainty friendship or charm bracelet, thoughtfully customized for the recipient. Even today’s men would enjoy a gift of cuff links, masculine style rings or a timeless watch. If you want to express a deeper sentiment, the popular heart shape has spoken the language of love for centuries. Today you can choose from dozens of beautiful heart designs…traditional or non-traditional, colorful or classic, sentimental or fun. And of course, the ULTIMATE symbol of love is diamonds. Given from the heart and worn with love in all shapes, sizes and colors, these precious gems continue to thrive year after year, just as your love for each other. 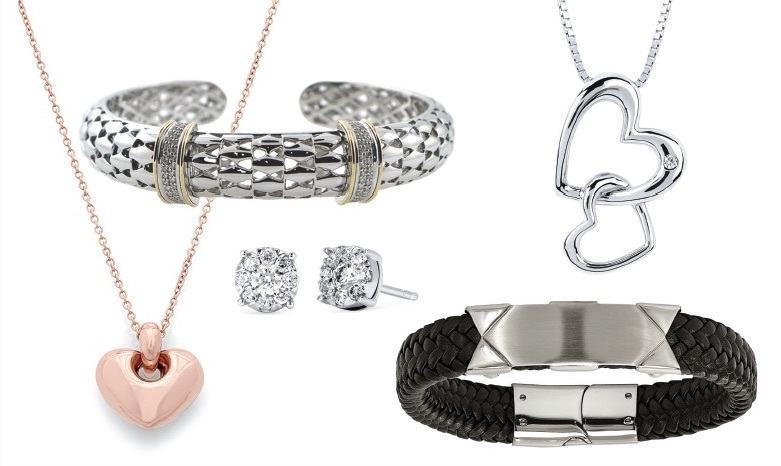 However you decide to convey your sentiments, giving a thoughtful gift of Valentine’s Day jewelry is a lasting way to celebrate your feelings. You can never go wrong with a gift of jewelry. 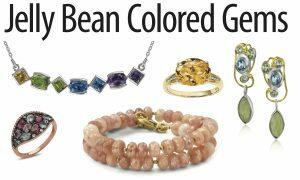 In the 19th century a ring made of colorful gemstones, known as the “Dearest” ring, was given as a display of love or sentiment. The first letter of each gemstone spelled out the word ‘Dearest’: Diamond, Emerald, Amethyst, Ruby, Emerald, Sapphire and Topaz. Today, you could be imaginative and create a ring representing the name of your loved one, for example, Emma: Emerald, Morganite, Moonstone, Amethyst. The circle has long been a symbol for eternity, especially in the form of wedding and engagement rings where they represent eternal love. 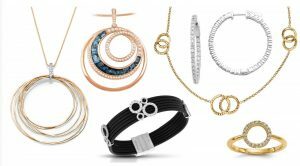 This season, circles are leading the trend in jewelry fashion. 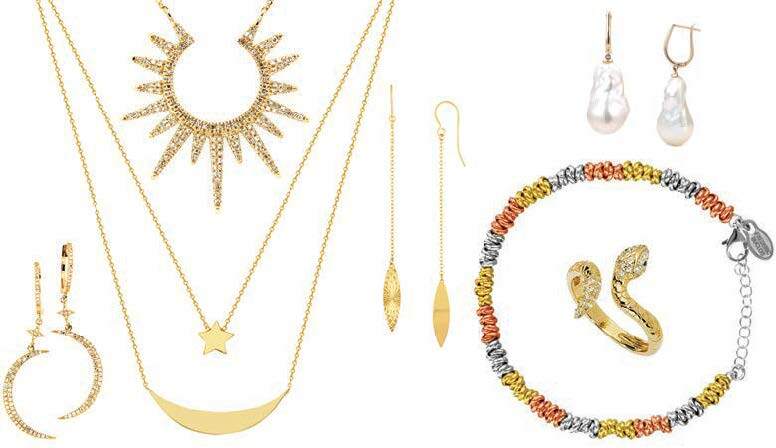 Both large and small, single and multiple spheres, created in yellow, white or rose karat gold are available. 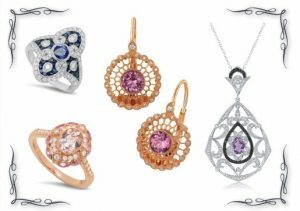 Also designs made from alternative and mixed metals, and polished or hammered finishes are popular with or without sparkling diamonds and gleaming gemstones. Hoop earrings are always an unbeatable combination of classic and trendy. Among the leaders are two-inch, inside-outside diamond hoops with sparkling white diamonds on both inner and outer surfaces. 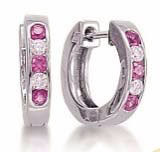 Other fashion forward designs include the ever popular, oversized polished or braided style hoops. 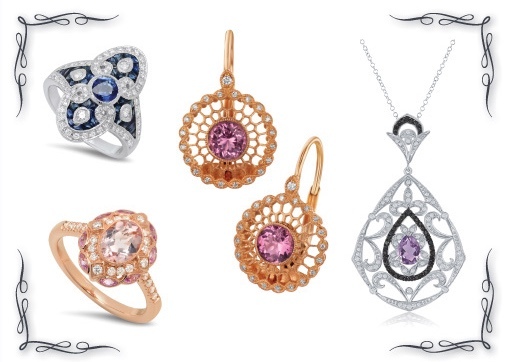 A wide variety of circular pendants are also available in stylish designs using colored gems centered inside the circle or a series of smaller circles within a large circle. Popular are the two intertwined circles, which offer a reminder of an unbreakable connection between loved ones. This season, there are many imaginative designs to choose from. The wearing of classic black and white gemstones is a New Year’s tradition. When paired together they display an element of glamour and formal elegance, adding beauty and sophistication to any outfit. Traditional colors for New Year’s Eve celebrations, black symbolized the end of the old year and white represents the birth of the New Year. Traditionally regarded as the gem offering constancy, compassion, and faith. Wearing garnets was believed to purify the body’s energy by getting rid of toxins and restoring the body to its revitalized and re-energized state. The diversity of color and appearance places garnets among gemology’s most alluring subjects.